Product Spotlight: CanDo® graded pinch finger exerciser - Fabrication Enterprises Retail Sales Corp. Being able to pinch things is something most of us take for granted. Pinching is essential for daily activities such as gripping a coin, opening a door, or holding a plate or drink. For those with pinch issues, we suggest that Occupational Therapists recommend the CanDo® graded pinch finger exerciser to their patients. Pinch exercisers offer a good hand resistance exercise that can improve a weak pinch. They are ideal for individuals recovering from a broken or sprained finger. 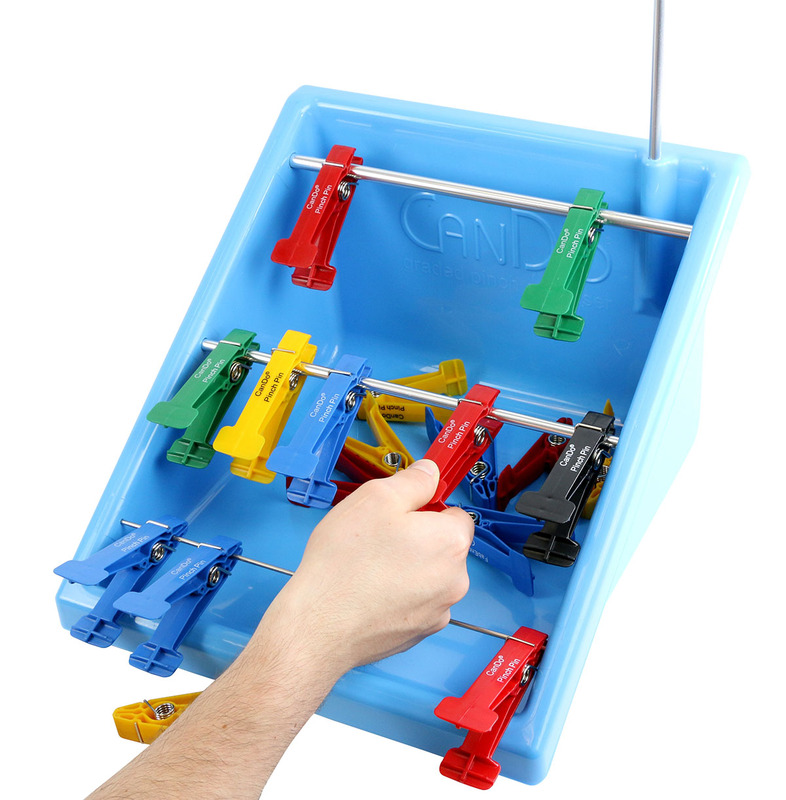 Occupational Therapists can have their patients use the CanDo® graded pinch finger exerciser set to monitor their patients’ pinch strength improvement over time. As the patient goes from a color-coded light resistance pinch pin to a heavier resistance one, they can visually see their patients’ pinch strength improve. Through using this exerciser patients can work on improving their pinch strength until they are able to perform everyday pinch tasks independently. Use the complete graded pinch finger exerciser set to improve pinch strength and coordination. The exerciser includes 5 sets of color-coded graded resistance pinch pins, three horizontal rods, and a vertical rod for shoulder ROM exercises. Additional pinch-pins also available in 5 or 10 replacement pins depending on how many that are needed. If you think the graded pinch finger exerciser is right for you, please contact your doctor or Occupational Therapist. To see our CanDo® graded pinch finger exerciser, click here.